When hostas flower varies by type. Hosta varieties typically open blossoms at some point starting in late spring (in warmer regions) to early summer, with the last varieties flowering by mid-autumn. 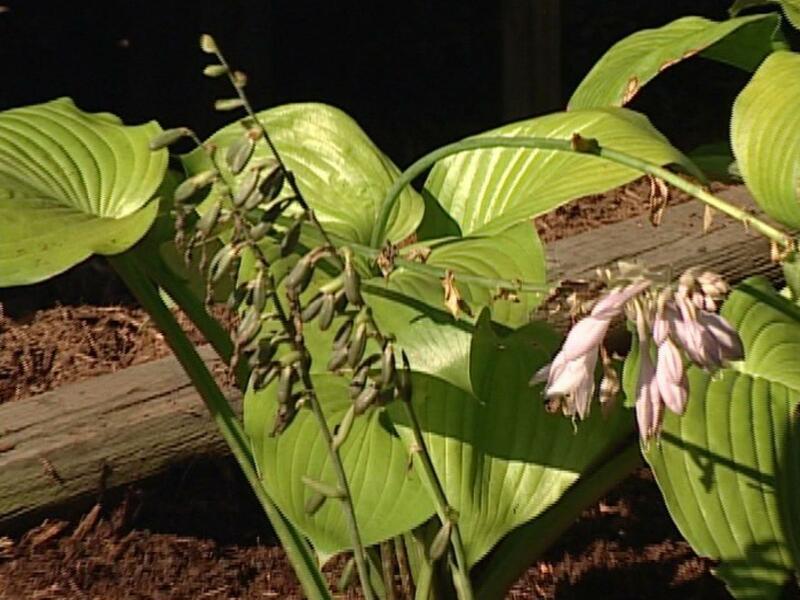 Usually individual hosta flower spikes continue to open blooms over roughly 7 to 10 days. Hosta flowers occur along a spike that stands above the leaves. With larger hostas, like the stunning Hosta ‘Sagae’ with blue-green leaves, flower spikes can soar to nearly 4 feet, commanding attention in the landscape. 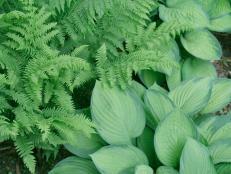 For miniature hostas, flower stems grow to a proportionately shorter height. 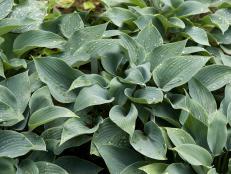 For instance, miniature Hosta ‘Blue Mouse Ears’ unfurls richly tinted blue leaves that grow 8 inches high and flower stems that stand 12 inches tall. Typically, hosta flowers tend toward purple or lavender hues, although some are pure white or white with lavender stripes. Some hosta flowers are fragrant, while others are simply eye candy in the garden. 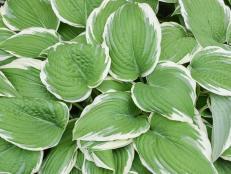 Fragrant hostas can increase the scents-appeal of your garden plantings. One of the most fragrant hosta flowers belongs to an heirloom beauty, Hosta plantaginea, native to Southern China and brought to England in 1790. 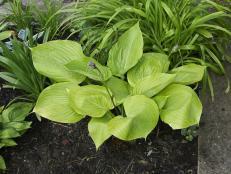 Hosta plantaginea differs from most hosta varieties in several ways. 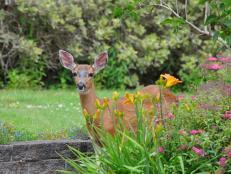 First, its flowers open in late afternoon and linger into early evening, compared to other hosta flowers, which open in early morning. Individual blossoms of Hosta plantaginea are quite big, at least 6 inches long. Other hosta flowers are usually 1 to 2 inches long. In terms of flower timing, Hosta plantaginea opens its blossoms in late summer, which is why it’s commonly known as August lily. 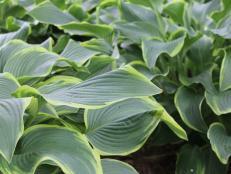 Its South China heritage means this is the hosta variety that consistently performs well in the South. That heritage also means that Hosta plantaginea has a tendency to emerge too early in spring in northern zones. This early appearance frequently results in damage by late frosts. 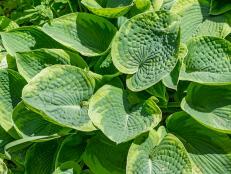 Where this plant thrives, though, you’ll be rewarded with fresh green leaves appearing throughout summer—something other hostas don’t typically do. 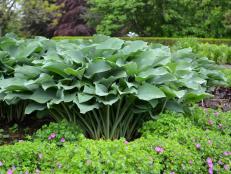 If you like the sound of Hosta plantanginea, check out some of its offspring. Hosta plantanginea ‘Aphrodite’ resembles its parent with light green leaves, but releases the typical honeysuckle fragrance from double white blooms. ‘Venus’ pairs green leaves with triple layered white flowers.